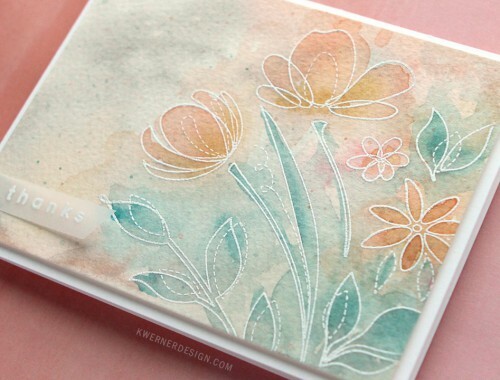 Colored Pencils on Kraft Cardstock + Class GIVEAWAY! Hello, all! For today’s card, I wanted to color with colored pencils on kraft cardstock. I love the looks of bright pencil on a neutral surface! 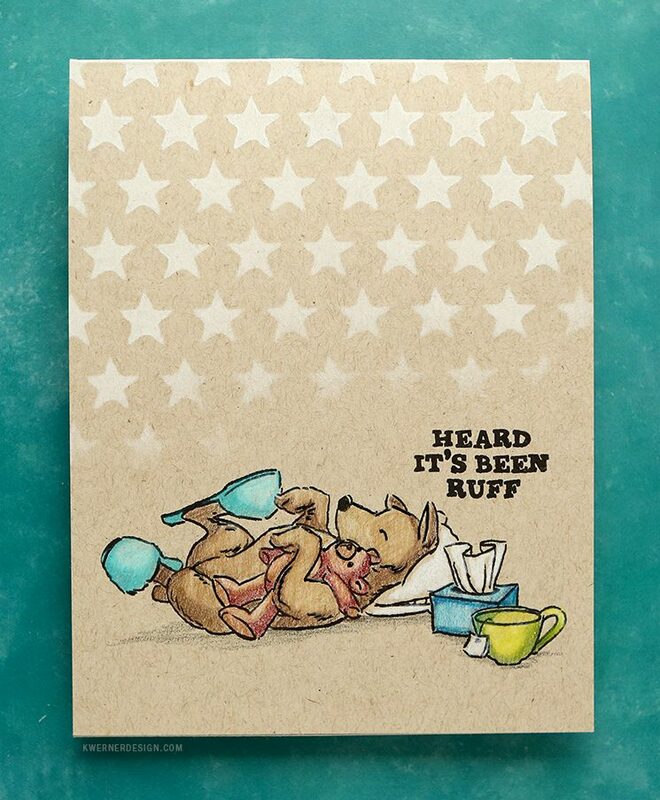 The cute images used on this card are from Art Impressions’ Doggy Kisses stamp set. 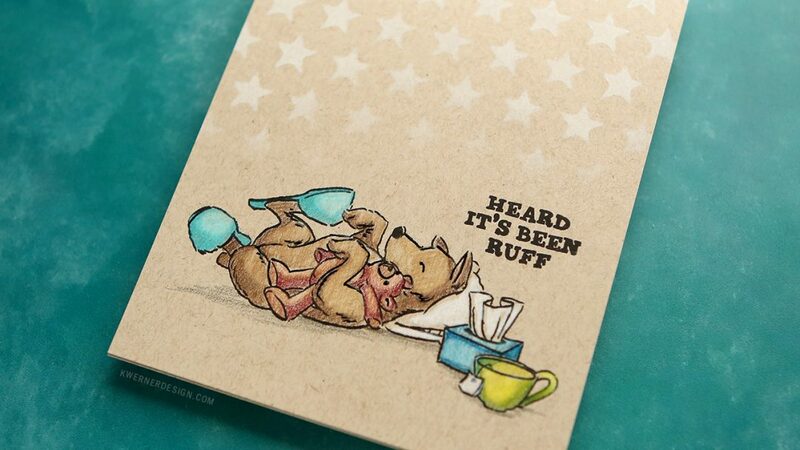 There are lots of “get well” and “feel better” images and greetings in this stamp set. So if you’re a dog lover (or know dog lovers!) this is the perfect stamp set for your stash. I stamped the images in Simon Says Stamp Black ink and then colored them using Prismacolor colored pencils. Not long ago, I showed my colored pencils in a video and many of you asked how I got my pencils so sharp. I’ve been using this pencil sharpener and it’s amazing! I bought it year ago and “lost it” when I renovate my craft room over a year ago. Just recently, I found the pencil sharpener and sharpened all of my pencils. I love having them so sharp! 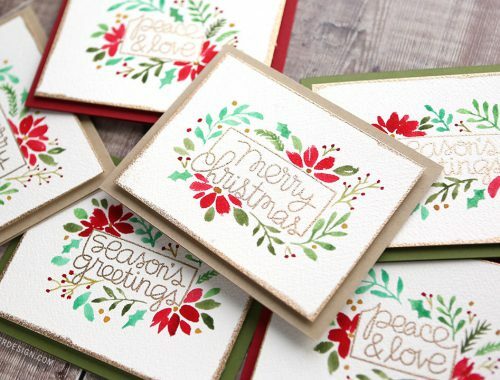 I finished off the card by blending on white pigment ink over the Tim Holtz Stars stencil. I hope you enjoy today’s card! Thanks for stopping by! 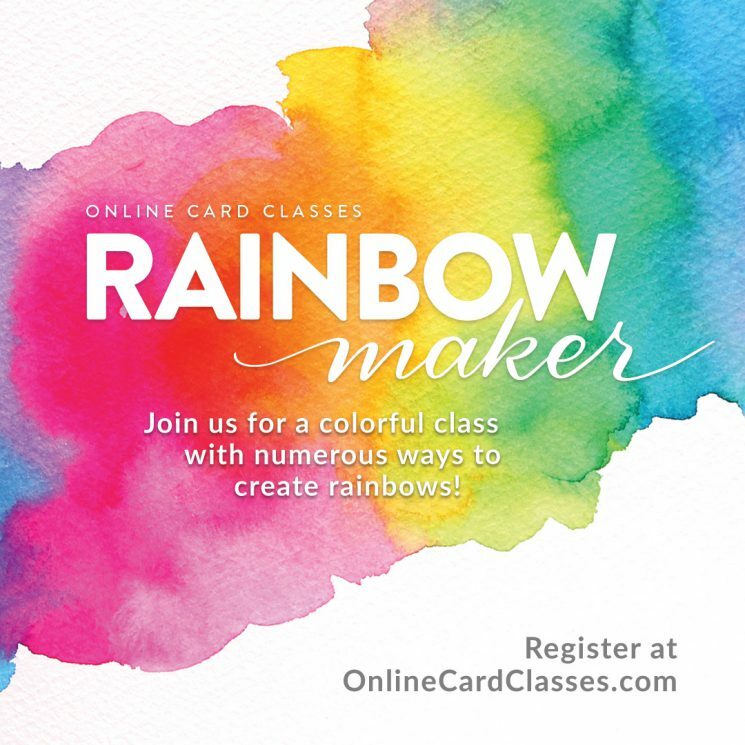 Online Card Classes Rainbow Maker! We just announced a new class at Online Card Classes and I’m super excited for it! Jennifer McGuire and I have teamed up with Laura Bassen for Rainbow Maker! We also have some other crafty friends who will be joining us for the fun. 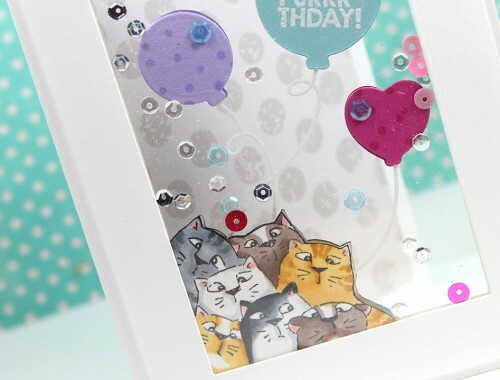 This class starts August 7 and is all about adding rainbow color schemes to your cards. Currently you can get $3 off your class registration through July 10, 2017. Giveaway winners will be randomly selected and added to my Giveaway Winners page after Thursday 29, 2017. Winners will be contacted by email so be sure to include an email address you check often. Winners will have 48 hours to claim their prize. Thanks!